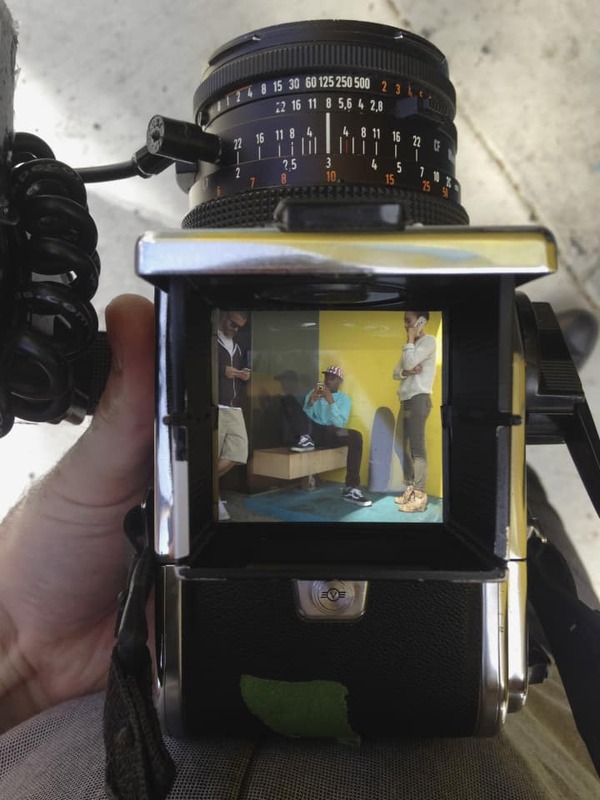 Behind the scenes of Tyler’s FADER cover shoot with photographer Mark Peckmezian. Tyler emailed me out of the blue two months ago saying he was a fan of my work. We chatted a bit, and we agreed that I would shoot him at some point—like a portrait of him just for my own artwork. Then it came up that The FADER was doing a story. I guess Tyler mentioned my name to Geordie, the photo director. So I was sort of, in a way, picked by Tyler to shoot it. I think it's really good when the subject likes the work of the photographer because then it means there's trust, and they are more willing to meet you halfway. On Tuesday I met up with Tyler at his store in Hollywood, mostly just to get acquainted. I think he wanted to meet me somewhere first and feel me out, to see if we got along before he invited me to his house. I think for him it was very important that we got along personally. We talked about photography, and he was showing me his funny little snapshots. It's worth noting that his photo work is really good. I'm not just saying that; he had some really good shots in there. One that I loved was this photo of a kid sitting on a couch that was all red. The skin tone was way off, like he had green skin. Tyler mentioned a few times to me that he hates photographers and hates photo shoots. I'm not sure what his rationale is, but I can imagine that for him he is very often paired up with photographers that are kind of annoying and lame, and that he doesn't like being bossed around or made to do something stupid. It's a bit exhausting being followed around and having someone flash a camera in your face all day. With me, he was great and totally cooperative. He basically gave me a blank check, and I did what I wanted. When he was in front of the camera for the studio portrait, he was making different faces and putting on different personas, but I think that's because he knows what the cover photo needed. He's media-savvy enough to know. On the first day, he was much more the Tyler that people kind of know: loud, charismatic, talking a lot. Then, on the second day, he was quite mellow. He was in a very different mood: kind of subdued, a lot calmer, and soft-spoken. When we came by, he was working on a song. I think he was very comfortable there. His house is all white and gleaming, and his room is colorful and has shag carpeting. It's decked out with a giant trampoline and huge bean bag chairs. The way I thought of it was like if a 13-year-old boy had won the lottery. There was something really interesting that I wish I had shot—he made this little house out of Legos. I asked him what it was, and he said it was his future house, his dream house. It was this really amazing little thing. It's hard to describe, but it was a really eccentric little house that he made. I asked him if I could shoot it, and he said yes—but then he changed his mind and said no, that it wasn't finished yet, that it was private. Something about that was very charming. He's 23, but he has the imagination of a little boy. 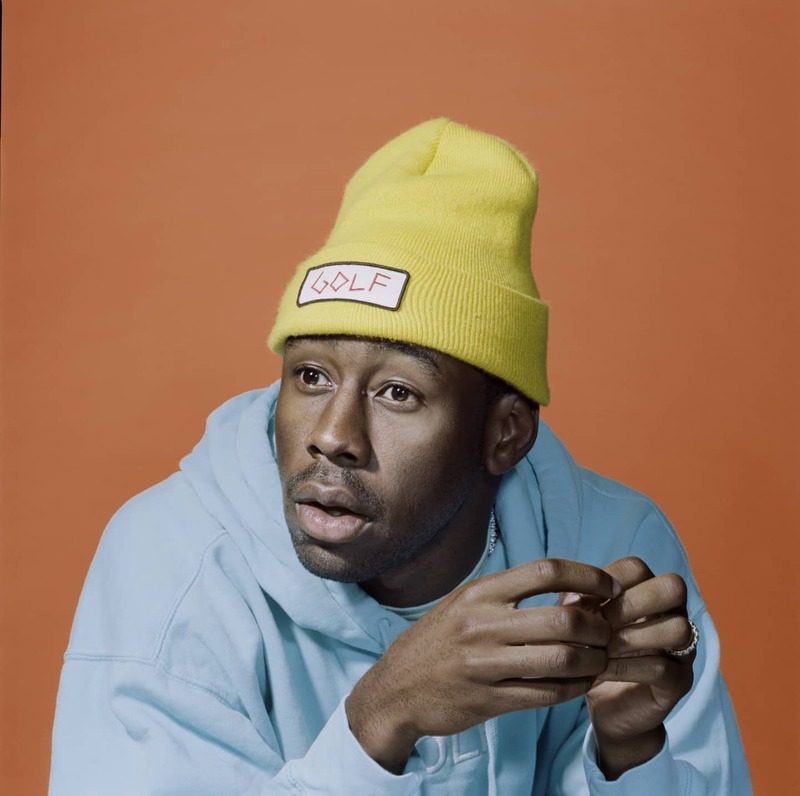 Pre-order a copy of Tyler's issue of The FADER now. The issue hits newsstands December 9th.